Abuja, Nigeria – March 29, 2017: Mahindra Comviva, the global leader in mobility solution and Econet Wireless, the largest mobile operator in Zimbabwe, have jointly won the CashlessAfrica Awards 2017 in the “Best Low Remittance Provider” Category. The award ceremony took place in Lagos, Nigeria, at the Cashless Africa Expo on March 23. EcoCash Diaspora provides ordinary Zimbabweans with a robust and safe platform for remitting money. EcoCash Diaspora is powered by Mahindra Comviva’s mobiquity® Moneyplatform. The money received in EcoCash wallet can be used for digital payments or cashing-out at any of the EcoCash agents in Zimbabwe. Econet Wireless has also partnered with MTN Zambia to provide direct mobile wallet to mobile wallet money transfer between MTN Mobile Money wallet and EcoCash wallet. Mahindra Comviva is the global leader in the mobile financial space. Its mobiquity® Money platform has clocked over 65 deployments in more than 45 countries processing 200 million transactions valuing $4 billion per month. 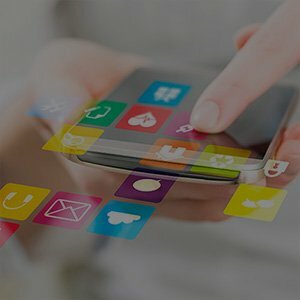 mobiquity® Money delivers a host of mobile commerce services that transforms the way consumers save, borrow, transfer and spend money. It is designed to seamlessly integrate consumer touch points with a wide ecosystem of banks, billers, merchants and third-party payment systems, creating a convergence powered by interoperability. Apart from delivering convenience to consumers, the solution enables service providers to acquire new customers, create long-term loyalty with existing ones, and seize new revenue opportunities to increase their footprint in the market.